The team doesn’t settle with success and completes its best season since they made it to the pro scene as claiming the UCI ProTour team title, more than twenty victories and uncountable podium places from January to October. 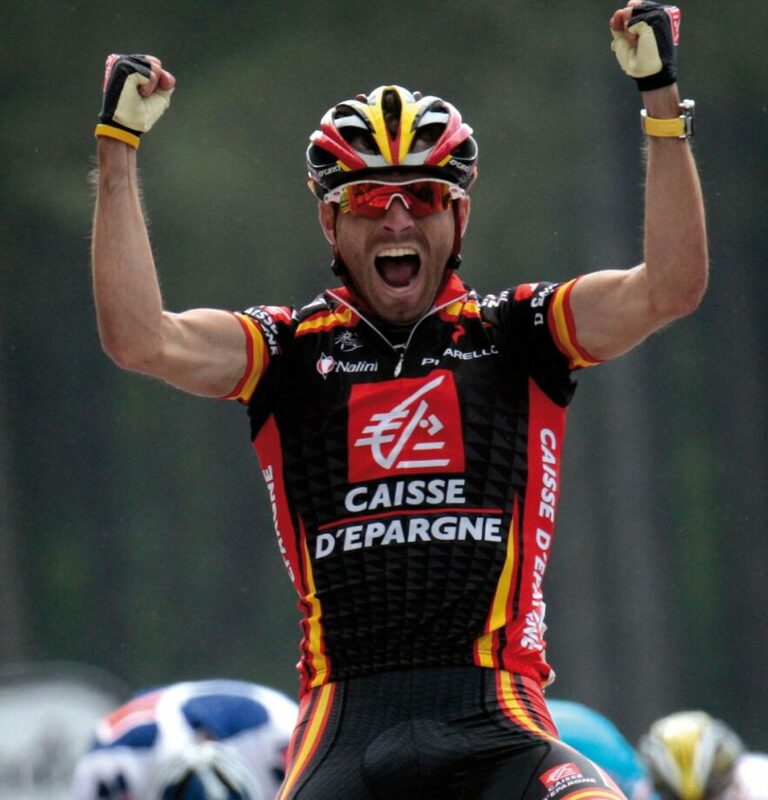 The fury of Alejandro Valverde as he conquers his second Liège-Bastogne-Liège in 2008. Tour de France leader: Valverde wins in Plumelec and keeps yellow for 48 hours. Luis León Sánchez wins stage 10 of the 2008 TDF in Aurillac. Imanol Erviti conquers a stage of the 2008 Vuelta in Las Rozas. Valverde and Unzué in a picture with the UCI ProTour individual and team titles claimed in 2008.